Come to Crops to Capture (and Create) Memories! Hi Scrap-A-Latte Friends - I LOVE hosting crops at the shop a few times each month. Click here to view my 2019 crop schedule here. If you've not yet experienced a "Latte" crop, I thought it would be helpful to share details with you here. The tables are set up in groups of four, and you'll have a full 5' table all to yourself! Croppers also have access to a Cricut machine with a variety of cartridges, an Accucut machine with various alphabet dies, Big Shot machines and dies, punches and more. Because the crop space is part of my shop, you can also run a tab during the crop for items you wish to purchase while here. Two-day Latte Crops: Each month, I host a weekend "Latte" crop that run from 8 am to 10 pm on both Saturday and Sunday. I provide a bagel breakfast and lunch on both days, along with snacks and drinks that are available throughout the crop. For dinner, I have a kitchen (fridge, microwave, etc.) that you're welcome to use if you bring your own food, or there are plenty of nearby eateries that you can visit or have delivered to the shop. Cost for both days is $60. One-day No Frills Crops: Each month, I also host one -- sometimes two -- one-day "No Frills" crops from 8 am to 10 pm on a Saturday or sometimes a Sunday. I provide bagels and snacks, and you're welcome to order in lunch and/or an early dinner from local eateries. Again, you'll have access to the Latte kitchen too. Cost for a No Frills crop is $30. Reserving Your Seat is Easy! Crop reservations are managed on a first-come, first-served basis, with crop fees due at the time of registration in order to guarantee your spot. You are welcome to call me at the shop (631.482.9190) or stop by to sign-up. Day cropping is also available for when you and some friends want to spend the day cropping at the shop during regular business hours. You're welcome to do so for just $10 per person. It is important that you call me to discuss the day you've got in mind so we can be sure it doesn't conflict with anything else that may be scheduled at the shop. Private Crops are also something you may want to consider. It's a great way to celebrate special occasions with your crafty friends and family. Please just give me a call regarding availability, pricing and reservation of the crop space. Always "A Latte" Happening - No Foolin'! This past weekend the shop was hoppin' and that's no April Foolin'! In Saturday's Echo Park Experience we made two springy double-page layouts. 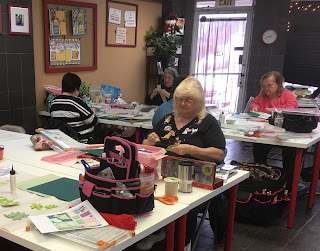 In Sunday morning's Outside the Box class we all got fringe giddy, and the Monthly Memories class was "udder-ly" fun! 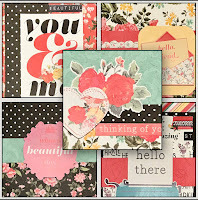 This promises to be another busy, creative week, with card, scrapbooking and art journal classes. It will wrap up with the monthly two-day Latte crop (April 6-7), and as always, we'll crop 'til we drop, share many laughs, and just create, munch and chat the weekend away! And whether you're taking a class or cropping, you get a whole table to yourself! 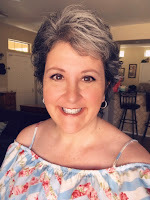 As a reminder, you can access my full 2019 crop schedule (click here), as well as monthly class calendars on the blog home page. 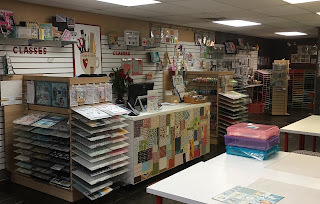 There's always something going on at the shop, and I try to vary it so there's something for makers of all types who simply love paper crafting of all kinds! Oh, and don't forget that Joey Otlo from PhotoPlay Paper will be teaching three workshops on Saturday, June 1st. Please see the prior blog for details or give me a ring at 631.482.9190 for details. Her workshops are filling fast so please don't delay in registering. 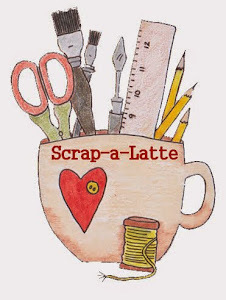 Have a great Monday, and I look forward to seeing you soon at Scrap-A-Latte! I've had the pleasure of knowing Joey Otlo for many years, and you'll never meet a nicer person. So I'm doubly excited to share that Joey, is coming to teach three amazing workshops on Saturday, June 1st. Joey joined the PhotoPlay family last summer and has since been incredibly busy as their Director of Sales. 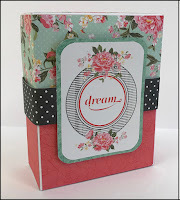 She'll be using the latest products and paper collections from PhotoPlay (one of my favorite companies)! 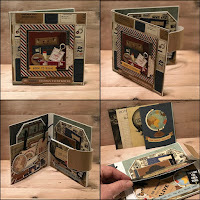 She's got a project for everyone ... from scrapbook layouts, to cards, to a travel folio. Registration's now open so please call me at the shop if you'd like to sign up for any or all of these awesome projects! 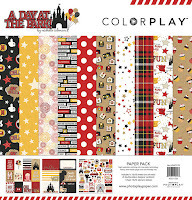 In the first class, you'll make not one, but two double-page layouts for those special Disney memories. 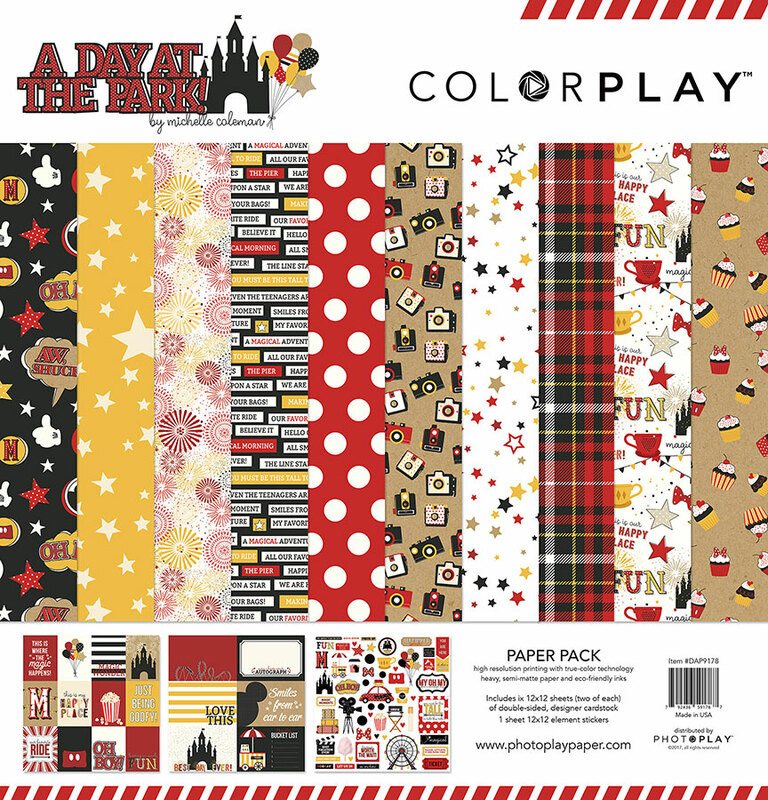 You're going to love this A Day at the Park collection for sure! In this class, you'll make a card storage box as well as five greeting cards (with envelopes). 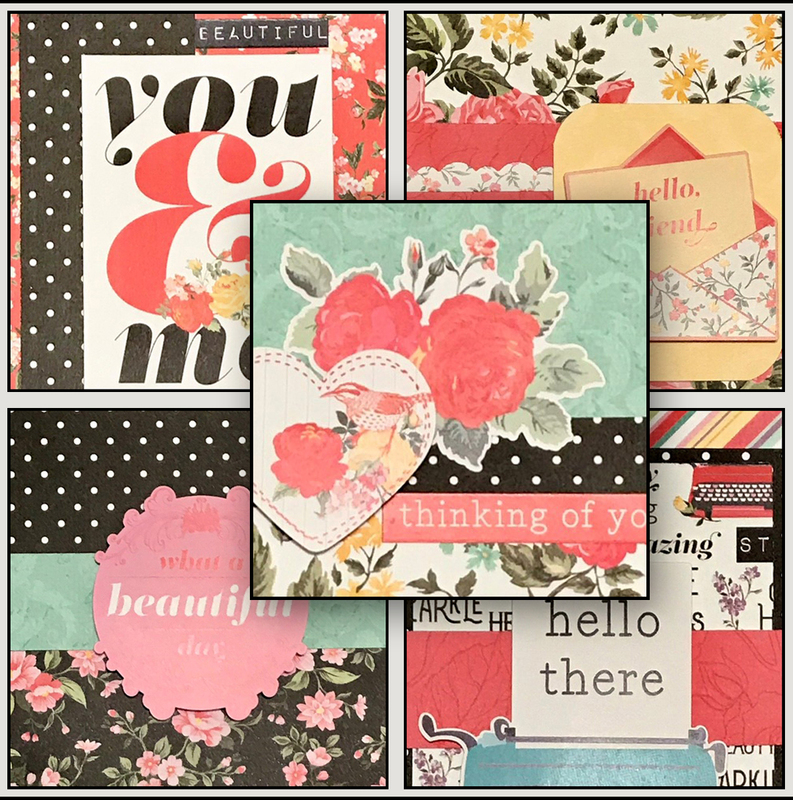 You'll be using the beautiful Belle Fleur collection. In this final workshop of the day with Joey, you'll make a beautiful interactive folio using the Here and There collection and more. What a great way to capture your vacation memories to share with friends and family. If you register for two of Joey's workshops, save $3. If you register for three of Joey's workshops, save $5. Please note that workshop fees for guest teachers are non-refundable and due at the time of registration. June will be here before you know it so don't delay if you'd like to sign up. I'm so looking forward to sharing an amazing day with you all and Joey in the near future! 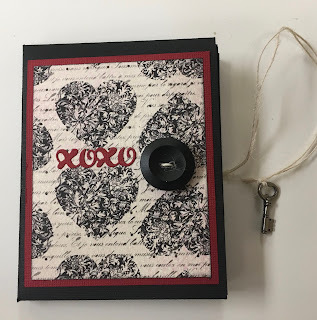 It was a fun time at Scrap-A-Latte today with the introduction of a new monthly class that I'm calling You've Been Framed. 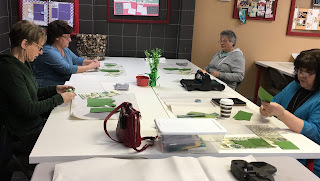 In this first class, we made adorable St. Patrick's themed frames using the Elizabeth Craft die. Each month will feature another project ... some of which may be a frame project, and some of which will be a new twist to the frame itself. Thanks to all who came out for this first-time class! What a nice weekend! And today, being a bit rainy and dreary, was perfect for some creative time together. The weekend kicked off with "Scrappy Hour," with kits set up at tables all throughout the shop. Folks who participated were able to pick a project to make, then when they finished, they picked another project, until they ran outta gas. Today, was Outside the Box (Dawn was crowned the queen of cheesecloth - ha!). The morning class was then followed by Monthly Memories with Renee. Love all the finished projects, but more important were the laughs and good times we shared. Until next time! Change ... It's a Good Thing! Everyone deals with change differently. For me, I need to think, ponder, and think some more before really and truly committing to change. 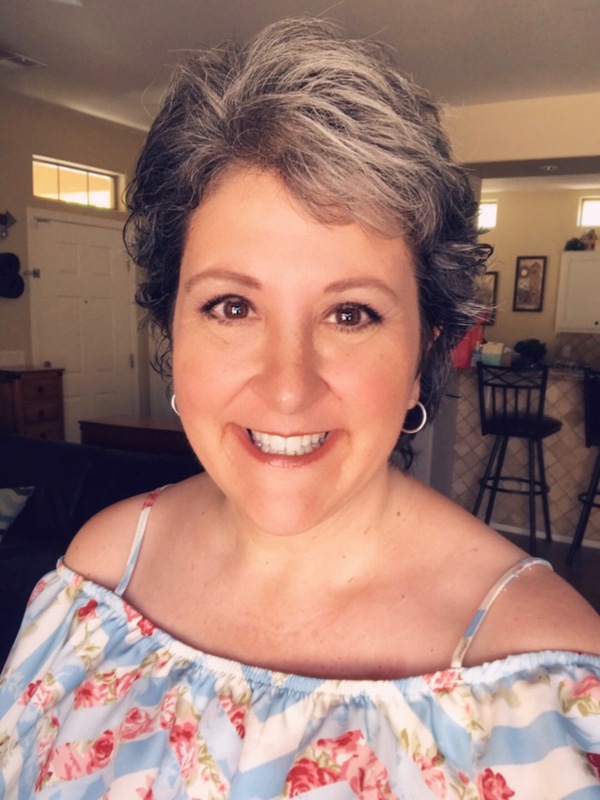 My good friend, however, jumps right in with a whole other way of approaching change; she figures it's not permanent so if ya don't like it, you can usually change it back. So that was my weekend... moving things around at the shop. And I mean REALLY re-arranging! What I learned was that in the upheaval, it is usually worse before it gets better. But in the end, I love the outcome! The shop is really transformed and it's so darned cute. It's so great to have a dedicated area for the Foundations Decor products ... if you haven't jumped in on this, what are you waiting for! It's also nice to have made even more room for my favorite ... scrapbook papers and embellishments. And, yes, even stamps! Concord & 9th has hit the shelves, Heffy Doodle is on the way, and Ink Road will soon follow! So lesson learned ... there's always room for improvement, and don't be afraid of change. For me, I'm going to find the balance between a bit of pondering before I just "go for it" and then enjoy! OK, where the heck did the month of January fly off too? It went by so quickly, and here we are on the first day of February. That can only mean Valentine's Day is just 'round the corner. We're making this fun mini album that's all about those you hold dear. What a great gift to yourself or others! What you can't tell from this picture is that it unfolds and unfolds and unfolds to hold 10+ photos and even a pocket for a gift card! Call the shop at 631.482.9190 if you're interested in registering for the in-person class.